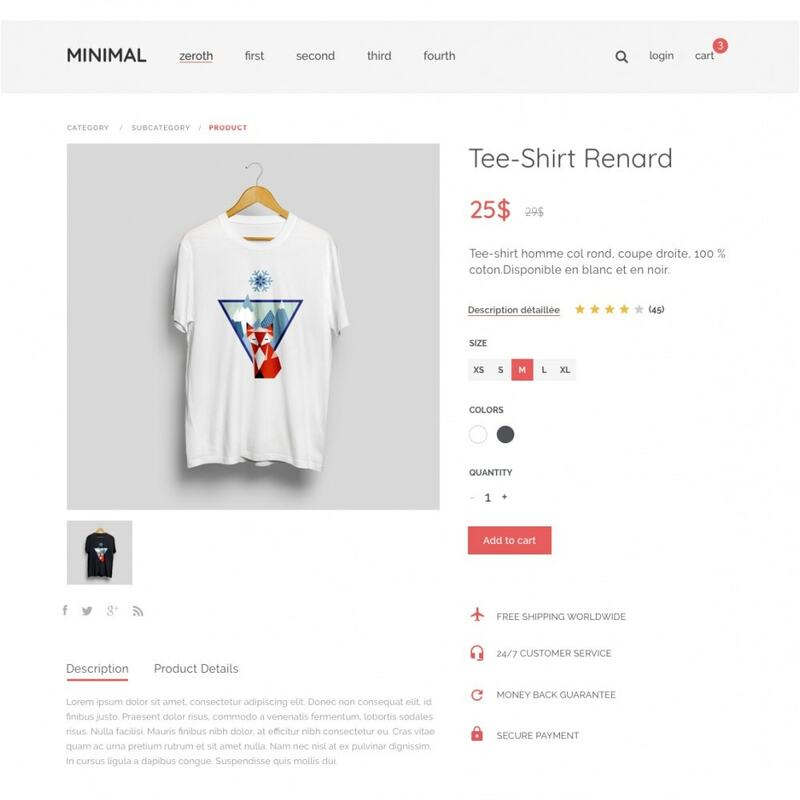 The Minimal theme is entirely responsive and includes a customizable, understated design based on current e-commerce trends. Developed by PrestaShop, it is ideal for your PrestaShop 1.7 store! 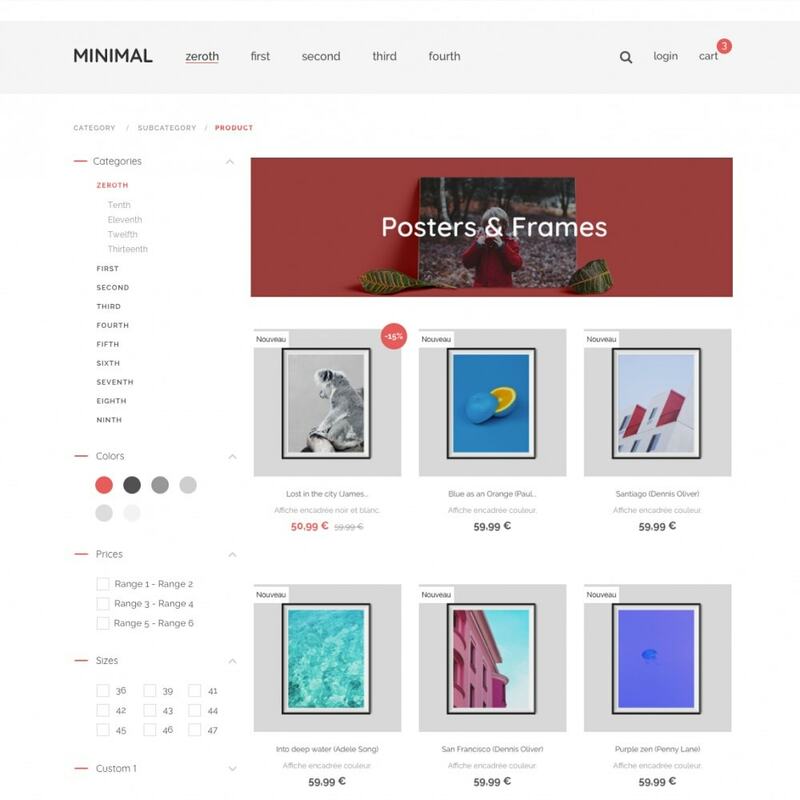 Plus, this theme is full compatible with all modules developed by PrestaShop! Note : Please find the step-by-step user guide of the theme directly in the Zip, in a file named "Documentation". 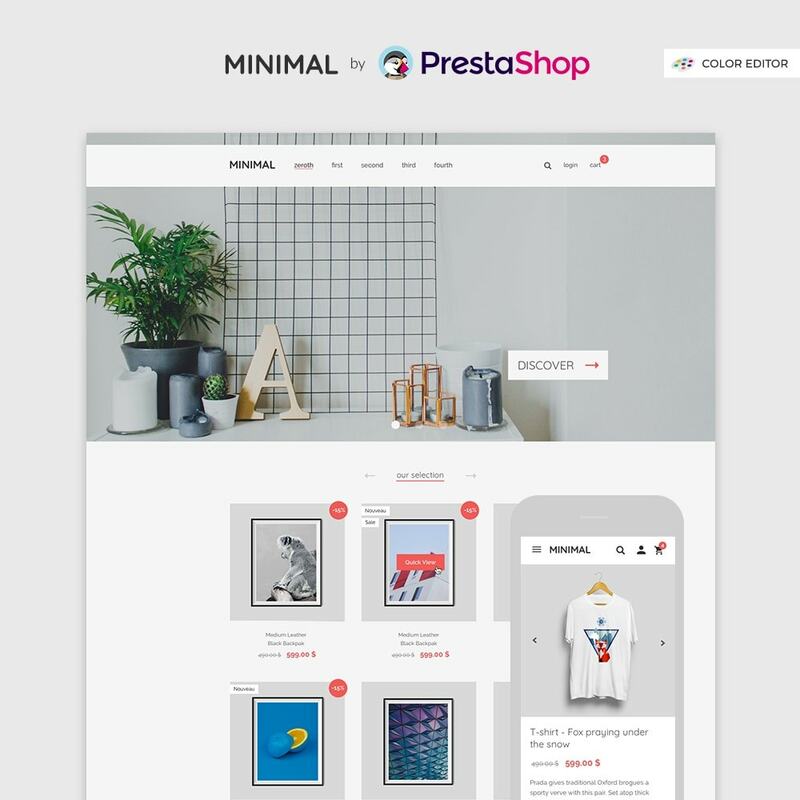 Minimal by PrestaShop was developed by the PrestaShop team, with stores for decor, art, jewelry, fashion/clothing, T-shirts, beauty, bags and accessories, furniture, books and magazines in mind. 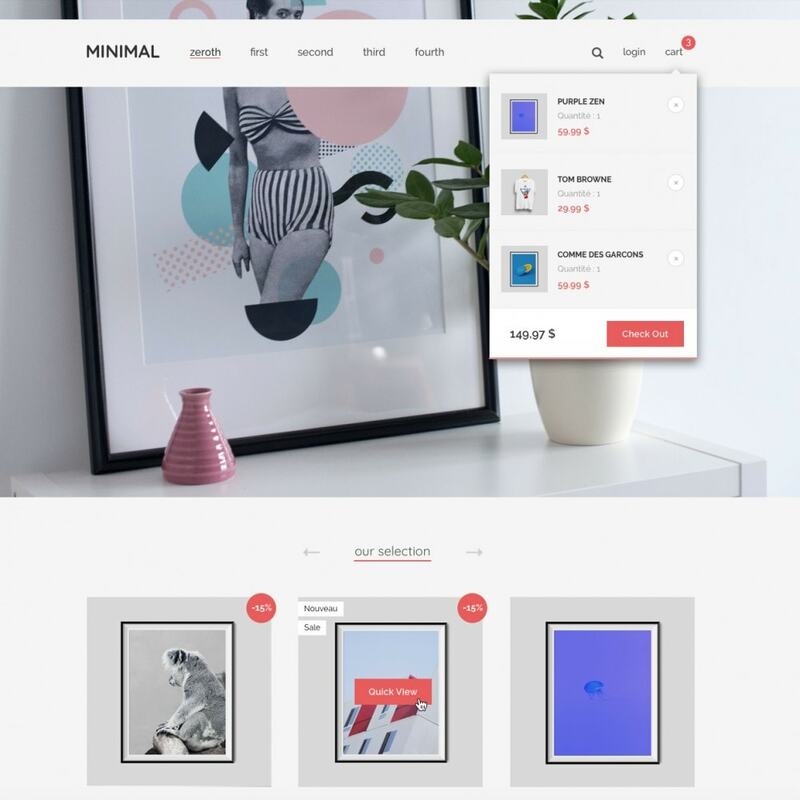 The Minimal theme is understated, which lets you really show off your products!